WWI flying ace Paul Joseph "Ginty" McGinness and his Gunner Lt. Wilmont Hudson Fysh (Later Sir Hudson Fysh) of No. 1 Squadron AFC. In 1918 together they scored three victories in this airplane, C4623 against "the Hun" on the 31st of August and 14th September in Palestine. 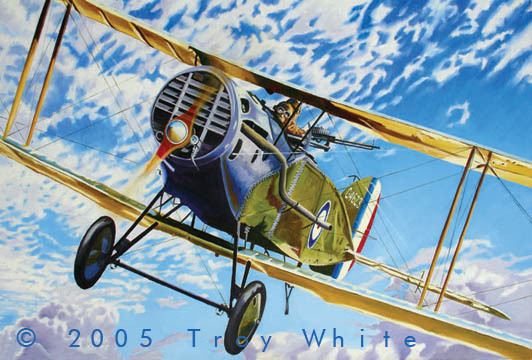 McGinness finished the war with 7 confirmed aerial victories. After the war McGinness & Fysh founded the Queensland and Northern Territories Air Service which is known today as Qantas Airlines.